Discussion in 'Guitars in General' started by rubbersoul, Feb 29, 2012. My local guitar shop just posted this on their Facebook page. I've not heard of these before...but I think it looks pretty darn cool. Anybody ever have one of these? It has been modded. 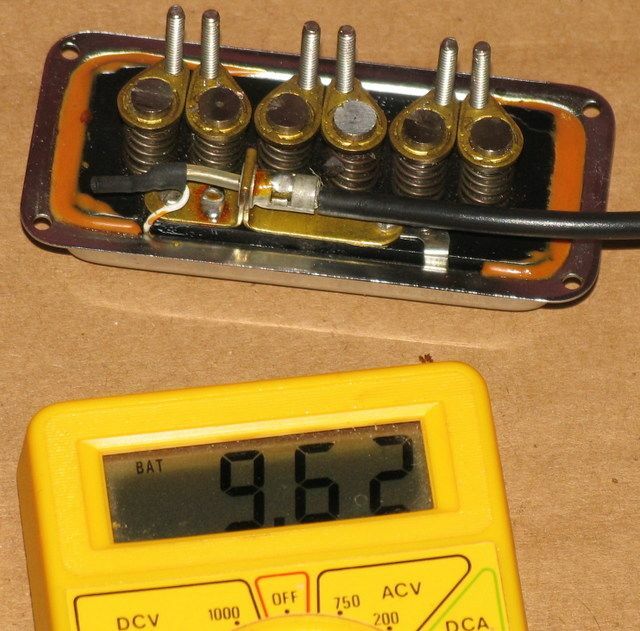 Should not have dynasonic pickups. Should have Supertrons and the tuning fork bridge. They are rare. Friend of mine has one, its an awesome guitar. His is original, this one is not. But they are very rare! there's a few old threads over there when I did a search. Pity your one they swapped out the Filtertrons for Dyna's. yeah - what price have they got on it ??? Do you know which member it was? It does appear to have been modded...but if those are old Dynasonics it might sound even better than if it were stock. They're a favourite of mine, anyway. I happen to have a couple in the parts bin: they should be stamped "DeArmond" (with the company's Toledo, Ohio address and some patent info) on the underside of the pickup. Mine also have a green wire coming out of the coil. Recent DeArmond repros don't have anything like the tone of the originals, except for the TV Jones remakes, which are great. This is what vintage Dynasonics look like if you aren't sure what's in yours. They usually have the orange epoxy on the bottom. Dynasonics are one of the most complex pickups ever made. These guitars are somewhat of a mystery, they were never catalogued, supposed to be only a vew hundred made. Nobody on the Gretch pages seems to know much about them. Anyone here know more about these guitars? 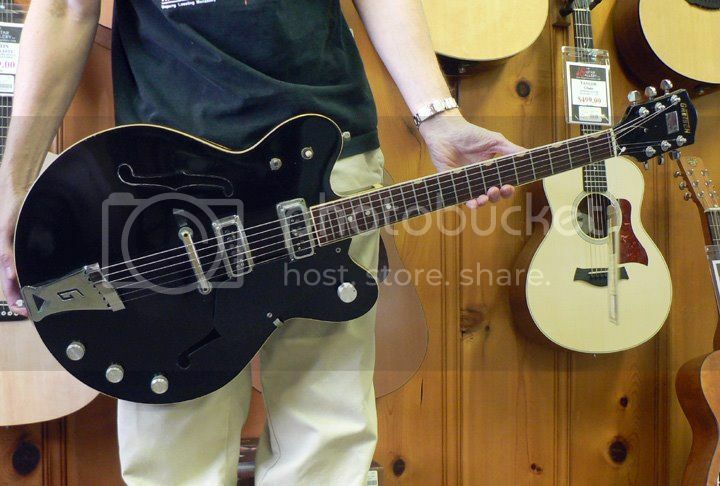 With any vintage Gretsch, go play it. It may be a princess, or a dog. Check for signs of a neck reset, they have a screw holding the neck on and it's paints over, so see if the screw is showing or if it looks like they covered the screw back up if they cut the neck off for a reset. Make sure the thing plays in tune. If it does, you have an amazing piece on your hands. If not, you had a very cool guitar from a historic maker that looks cool. But it's a show piece. Good luck and let us know what you do! Misses not only the incredibly good Supertrons (but no complaining with Dynasonics) but the original pick guard as well. Still cool as hell. 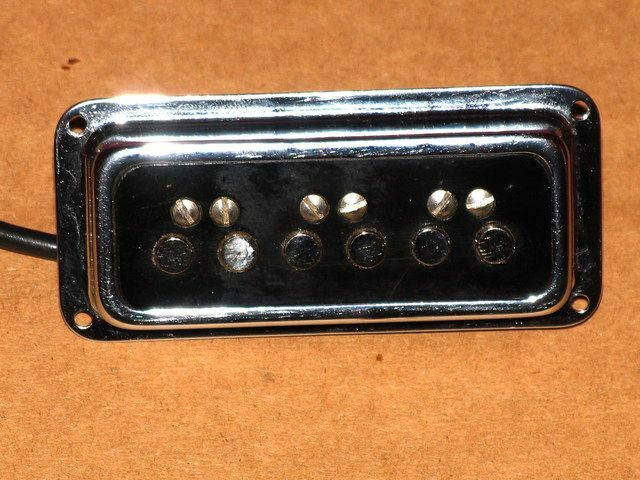 This is the first one I see that has the hybrid dot/thumbnail inlay like my own '68 has. Don't be scared off by binding rot and if it had a neck reset: so much the better. I'd jump on it if I were you! SuperTrons are very good pickups as well. They're a bit too bright, but with the crappy pot that's supposed to be a mastervolume but rather functions as master tone, dialed back a bit: glorious sound. Deep and loud. The dots mark the so-called "T-zone." Gretsches of this era had the upper frets installed at a slight angle to (supposedly) improve intonation. 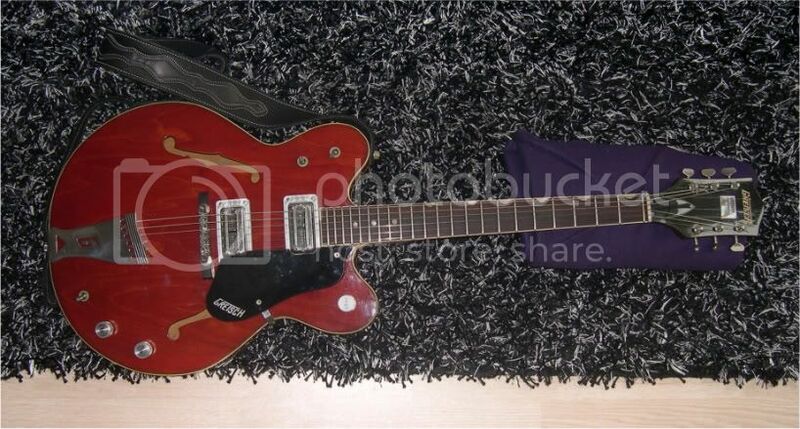 Love the nutty late period Gretschs - I had a '71 Roc Jet with Super'Trons that I miss every day.